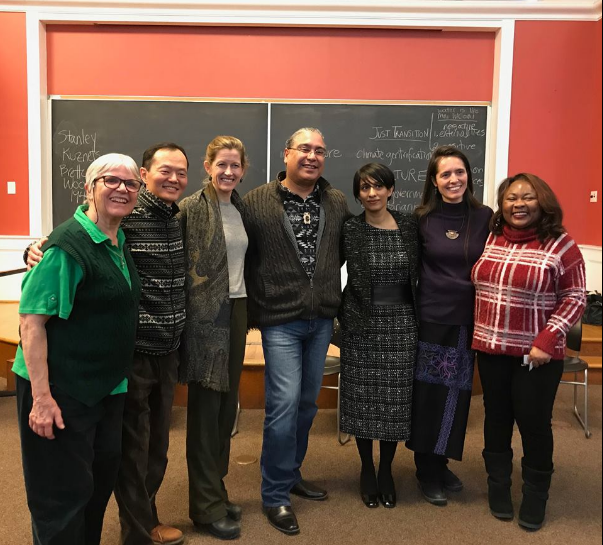 Beyond GDP team: Sister Anele Heigis, Ken Kitatani, Karenna Gore, Roberto Borrero, Bipasha Chatterjee, Geraldine Patrick Ensina, and Catherine Coleman Flowers. Course Description: This class will focus on the flaws of current economic measurements such as Gross Domestic Product and the ways in which Indigenous cultures — along with voices from faith communities— are contributing to alternative ways of measuring the success and well-being of a society. Topics to be covered include the UN Sustainable Development Agenda, the impact of colonization on the bio-cultural heritage of Indigenous peoples, the conflict at Standing Rock, the Pope’s encyclical Laudato Si: On Care for Our Common Home, and the role of religion in development policy. I don’t believe that there is a single person on this planet who isn’t aware of the climate system’s change. I fully include so called climate deniers in this as well because even they have to go outside and wonder why they can leave their homes, on many a winter day, in nothing more that a light jacket. Most are aware that something is just not right, that the coming days will bring forth even more uncertainty in weather patterns. For a majority of the world, however, this uncertainty is something they are already living with every day-this is the reality of the most vulnerable in our society: the poor For it is the capitalist project which has brought us to this crisis, and it is through its exploitative and violent nature human suffering has increased alongside Mother Earth’s ecological degradation. The course went by the name, Beyond GDP: Lessons from Indigenous Cultures and Faith Traditions. Prior to attending the class, participants were sent a short reading list which included excerpts from “Laudato Si”, an article from the acclaimed scholar and activist Vandana Shiva, and a beautiful collection of articles and testimonials written from the perspective of Indigenous people advocating for their rights, as well as sharing the great Original Wisdom which still guides them today. With around 30 participants, the class was a great mixture of students, religious leaders, professors, activists, farmers and herbalists, and lawyers. We were also blessed and honored by the presence of members from the Ramapough Lenape Nation- Chief Dwaine Perry and Owl Smith. Upon opening the class with a ritual presenting the four elements, C.E.E. Director, Karenna Gore, invited us all to introduce ourselves and ask that we share our names, a product which we depend on most, as well as, something within greater creation which we feel most connected to. It was incredibly powerful to witness the palpable feelings of joy and wonder we all associated with our non-human family. Just as powerful, were the presentations. Karenna started the discussion by bringing forth the idea that capitalism and our globalized obsession with the gross national product index is greatly failing us all. 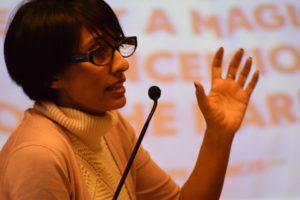 The next presenter was economist and professor Bipasha Chatterjee who was able to pass on to us a great deal of information about how our global economic system works. For me, however, the most inspiring part of her presentation had to do with introducing us to the many alternatives uses of measuring value. My favorite definitely had to be the Gross Happiness Index used in Bhutan. Dr. Chatterjee explained that with this new system, Bhutan may be one of the poorer nations of the world monetarily, but it was also the happiest country in the world. 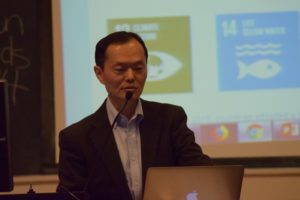 Ken Kitatani gave the following presentation, in which he introduced the UN Sustainable Development Goals emphasizing how the global community is coming together to create a better future. We were asked to take into consideration the people who might feel excluded by such an agenda-particularly indigenous communities who have no interest in developing within the capitalistic confines which very much inform the SDGs. Dr. Geraldine Patrick Encina offered the final presentation of the day, bringing to the forefront Indigenous People of the Americas and the wisdom of original peoples, highlighting their cosmology, traditional way of life, and deeply rooted connection with all of creation. It was moving to hear her reflecting on the to groups of people she is connected to, the Mapuche of Chile, and the Otomi of Mexico. It was wonderful to hear about these tribes both maintaining their traditions, as well as, the challenge they have had in having to reclaim and relearn customs and practices which had been lost upon the “first contact”. On day two, Roberto “Mukaro” Borrero was the first to present, and spoke about Declaration on the Rights of Indigenous People. Being a member of the Taino Tribal Nation, Dr. Borrero brought forth the perspective of Indigenous people who continue to resist settler colonialism, and its predatory ways. One highlight of this presentation, I believe, was the time taken to talk about the Standing Rock Sioux Nation and the struggles they endured against the Dakota Access Pipeline. That moment, Dr. Borrero argued, could serve as the perfect reason Indigenous people are so in need of their rights. What happened at Standing Rock was not only about a building a pipeline, it was about protecting the water and land which, to the Standing Rock Sioux, was sacred and worth protecting at all costs. To add, Standing Rock was a moment in which, twenty-first century Americans had to grapple with the reality of what it means to disregard and dehumanize Indigenous Peoples. Granting rights to indigenous people is not only a matter of symbolism, it is necessary in order to save lives. Next, Catherine Flowers gave a presentation on what was happening in her community in Lowndes County, Alabama. She talked about the terrible sewage conditions so many residents are dealing with in addition to other ecological crises affecting the health of residents there. 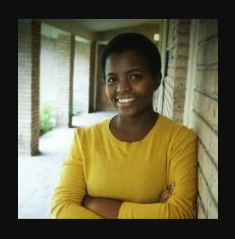 Into this conversation, Catherine also challenged the participants to think about what other factors, beyond capitalism, might have caused this reality for the people of Lowndes County. Racism was also an incredibly powerful force in this oppression which allowed politicians and public servants to ignore the demands for help by the people of Lowndes County, and other similar communities dealing with public health crises. The G.D.P. index does not help these people, and worse, it requires, and only benefits from, their continued suffering. The last presentation was given by Adam and Shaily Gupta Barnes. Sharing reflections about their time in the Peace Corps, the two talked about the rural farming community they worked with in Niger, West Africa, and the sustainable farming being practiced despite such vicinity to the desert. Additionally, the two presented on the work they are engaged with in the Poor People’s Campaign. Led by Rev. Dr. William Barber II, the movement was highlighted as a moral revival for America. An opportunity to this nation to reflect upon ourselves, especially after the 2016 election, and commit ourselves to a way of being less focused on greed and power, and more focused on the Revolutionary Love Rev. Dr. Martin Luther King Jr. was so passionate about. It was a jam packed two days, with so much to take away and reflect upon. For myself, the biggest take away was the realization that we must divorce ourselves from capitalism as well as the greed and over consumption that comes with it. We must be willing to recognize the rights of Indigenous people, and more importantly, we must be willing to learn their earth centered practices we have forgotten as we have attempted to perfect civilization. With scientists constantly reminding us of how dire everything is, I am very appreciative of this class for making me be self reflective on the ways in which I am complacent within this system. 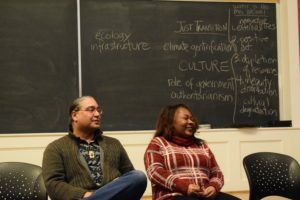 The urgency is very real, and I am so very grateful for the space this class opened up for us to become aware of solutions which have already been working on a small scale, and must be adopted – for the fate of all of creation.